And, just like any other skill, it needs the right amount of time, practice, and instruction if you want any hope of mastering it. The time and practice part is relatively easy to come by, but finding the right instruction is a whole other matter. That instruction can come from books, training manuals, and even webinars, but nothing beats having a good coach. For the sales rep, a good sales coach can empower them with the personalized instruction they need to continuously improve and further polish their selling skills. 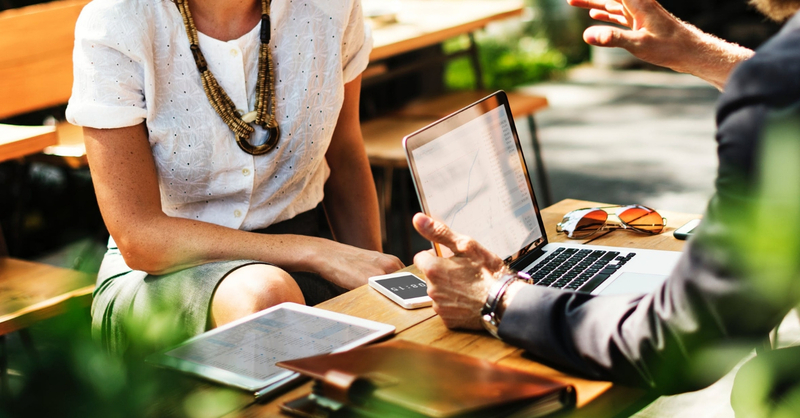 For a business, a good sales coach can have a direct impact on their bottom line by making sure that their sales teams’ skills stay sharp, building employee loyalty, and improving everyone’s overall performance. Here’s a simple step-by-step guide on how you can implement an effective sales coaching program for your own business. 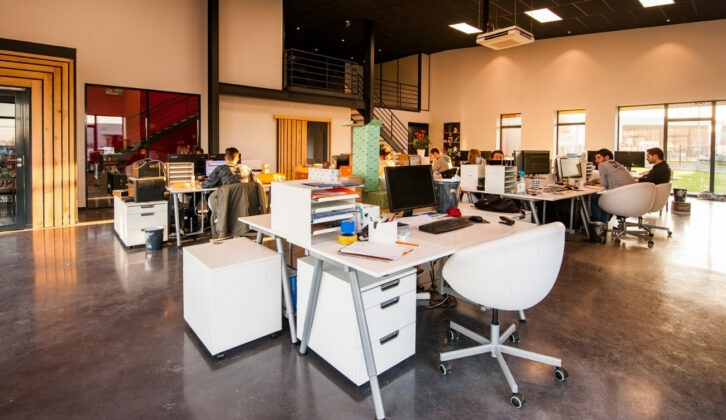 Just like how you can’t reasonably expect someone to become a sports champion after spending a few weeks learning the rules of the game, you cannot reasonably expect a sales rep to become a sales superstar with only a few weeks of training. One study found that if there was no coaching or active reinforcement of learning after a training session, the average sales rep would lose up to 87% of all knowledge they initially required. This is where effective sales coaching comes into play. Sales coaching is more than just telling someone what they need to do in order to become successful. Effective sales coaching requires a long-term relationship between a sales manager and their reps with a focus on continuous improvement and personalized teaching. This is a huge benefit for sales reps, especially new ones, as they’re able to develop their sales skills faster, clearly understand what they’re doing wrong, and easily figure out the best ways to improve. According to Brainshark, businesses that reinforce their initial training with in-the-field coaching saw a 400% increase in the ROI of their training programs. 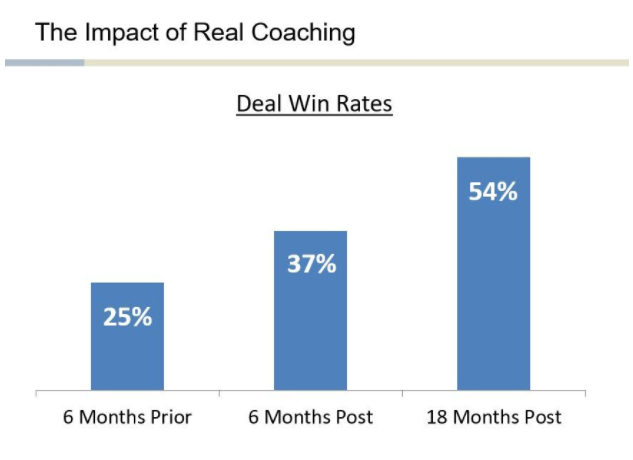 Furthermore, companies that implemented a formalized sales coaching program saw an increase in win rates by 12% in just six months and an increase of up to 30% within 18 months. As useful as sales coaching is to the individual sales rep, a formalized coaching program can bring a wide variety of benefits to a sales organization—beyond the impact it has on the bottom line. The constant communication between sales managers and their frontline reps strengthens employee loyalty and provides valuable insight on how to properly manage the sales team. A strong sales coaching culture can also help organizations identify any problems or issues that their sales reps are facing beyond the frontline sales process, such as bigger organizational issues and ineffective hiring processes—issues that they might have otherwise been unaware of without that level of communication with their employees. One of the most common reasons why most businesses don’t provide sales coaching is that many sales managers don’t know how to be a good coach in the first place. Proper coaching requires time, patience and effort, and not everyone is born with the qualities of a good coach. While every sales manager will have their own unique style and approach to coaching, it helps to have a framework that they can fall back on to ensure consistent results. Great coaching always starts with observation and understanding the needs of each sales rep. For example, one sales rep might be great at spotting opportunities but terrible at closing deals, whereas someone else might have problems with staying motivated. Oftentimes, sales managers make the mistake of adopting a one-size-fits-all approach to coaching that doesn’t address the specific problems and challenges of the person they’re meant to be helping. 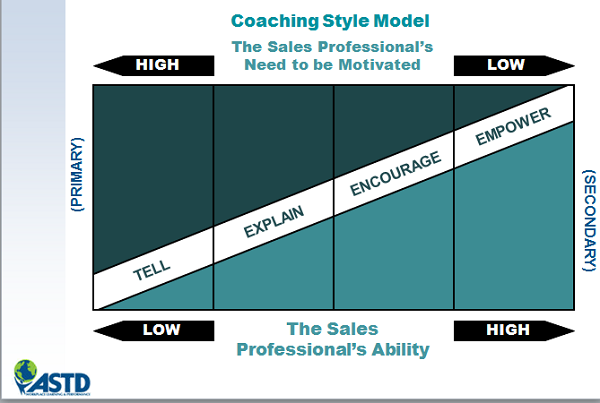 The more tailored your coaching is to the individual, the faster your sales rep will improve. 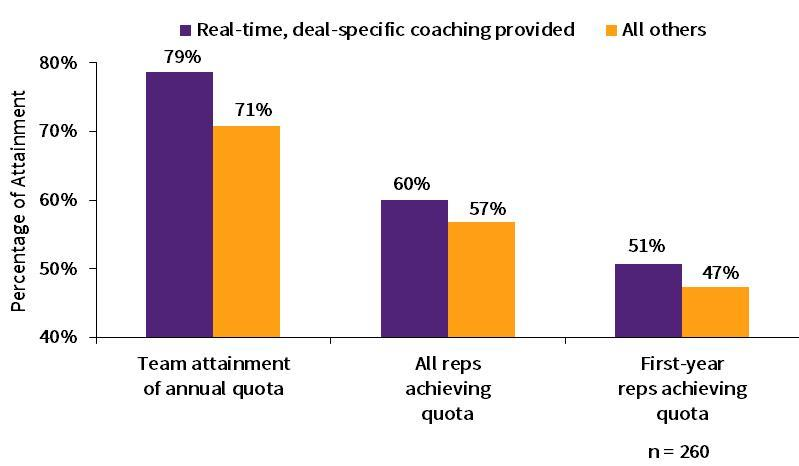 In a study by Aberdeen, they found that sales teams that received real-time sales coaching consistently outperformed those that didn’t. Much like how it’s impossible to find out how to help a prospect without first asking questions, the simplest way to find out what pain points your sales reps are facing is to simply ask the right questions. Once you’ve figured out what parts of the sales process they’re struggling with the most, focus on two to three key areas for improvement that you can help them with. Pro-tip: Learn about five ways that sales teams can prospect more effectively with this free webinar. As managers and teachers, often the easiest way to give someone instructions is to simply give them directions on what they need to do. This is fine, as long as the only information the person needs is what to do next. However, where many sales coaches end up failing is by relying too much on this method of instruction. Telling someone what to do may produce short-term results, but remember that the goal is to have your sales team produce those same results on their own without your constant guidance. If you’re finding that telling someone what to do isn’t sustainable, then it’s time to move onto the next method of instruction. Good sales managers understand the importance of making sure that the person they’re guiding not only understands how they need to improve but why as well. Sales coaches need to be able to break down for their reps the cause and effect of their actions and help them understand why this way is better than that. Be descriptive, not just prescriptive. For example, if you’ve noticed that a rep rushes to the pitch too fast, it’s not enough to tell them to slow down as that doesn’t tell them why that’s wrong. But, by explaining that rushing to the pitch can cause prospects to feel uncomfortable and that they can tailor their pitch more by asking more questions, you can help the sales rep internalize the instructions given—and actually use that advice on their own in the future. Sometimes the problem lies not in a sales professional’s skill but in their own self-confidence or motivation. All the instruction in the world won’t help if someone doesn’t believe that they can do it or isn’t motivated enough to try in the first place. This is why it’s so important that every coaching session contains a healthy amount of encouragement and positive affirmation. The ability to encourage salespeople is one of the things that separates sales managers from sales leaders. Investigate what makes your sales team tick and what motivates them to do good work. The better the relationship between the sales manager and their reps, the easier it is to understand what matters to them and the best way to motivate them. At some point, baby birds have to leave the nest and learn to fly on their own. For sales reps that means giving them the right opportunities to put what they’ve learned in practice and continue developing their sales skills on their own. Sales coaches can begin this process of empowerment by sitting in on sales calls and meetings with their reps and letting them take the lead—which can sometimes involve holding back when sales reps make mistakes and giving feedback afterwards. According to CSO Insights, up to 75% of all resources devoted to sales coaching and training end up going to waste due to the random and informal nature of most coaching practices. This is why it's so important that sales managers develop a formal coaching rhythm that emphasizes continuously checking in with reps on a regular basis. Finding the time that fits both the busy schedules of sales managers and reps can be tricky, but it’s well worth it in the long run. According to a study by the Sales Readiness Group, one of the key differences between high-performing and low-performing sales organizations is the amount of time sales managers devote to sales coaching. Sales managers can develop a coaching rhythm by setting aside time in their calendars to check in with sales reps. Depending on the rep and their individual needs, that can be once a week—or a few times per quarter. 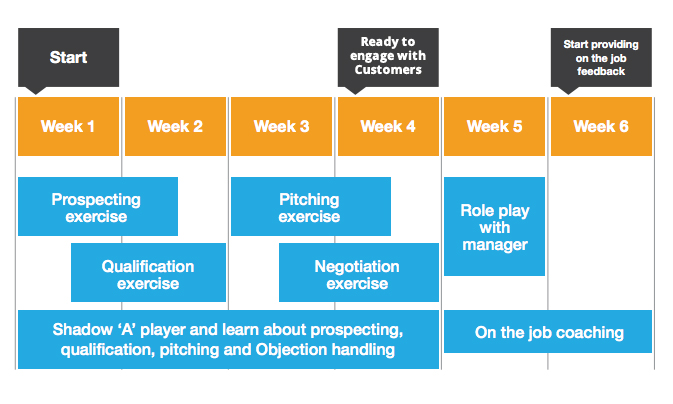 The important thing is that sales coaches are consistent with their check-ins and are spending enough time to go over each stage in the coaching session framework above. You can further improve the effectiveness of your coaching sessions by developing a coaching plan together with the rep. The coaching plan should include how often a manager needs to check in with them and identify key areas for improvement for the rep and what type of instruction is needed for them to get better. 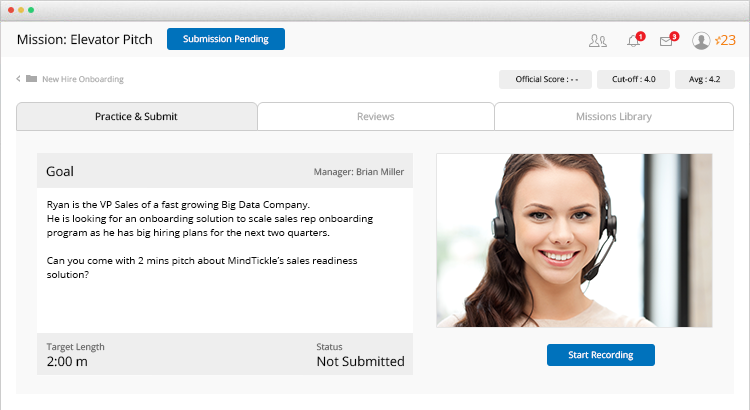 The type of instruction can be limited to check-ins themselves or could include a variety of actives such shadowing them on sales calls, running role-play exercises or completing various online exercises. This type of coaching plan is incredibly beneficial for both the coach and the rep as it gives both of you a highly focused and actionable plan to follow. 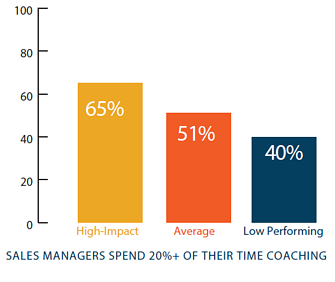 Coaching isn’t very useful if sales managers can’t track the progress and effectiveness of their sales reps. This is why good reporting is critical to the coaching process. But instead of relying on ad-hoc pen and paper methods to keep track of your coaching sessions, take advantage of the technology that’s already available to you. Your CRM is a great place to start as it offers a place where both the coach and the rep can analyze the activities and results of the sales rep, as well as set measurable KPIs that coaches can use to gauge their overall progress. For example, a sales rep might be struggling to fill their sales pipeline with qualified prospects. By checking their activity logged on their CRM, a coach might find out that the rep is making enough prospecting emails and calls and conclude that the problem isn’t that they aren’t spending enough time prospecting, but that their sales pitch needs work. The sales coach can then help the rep refine their sales pitch and track the amount of proposals the sales rep sends out after. 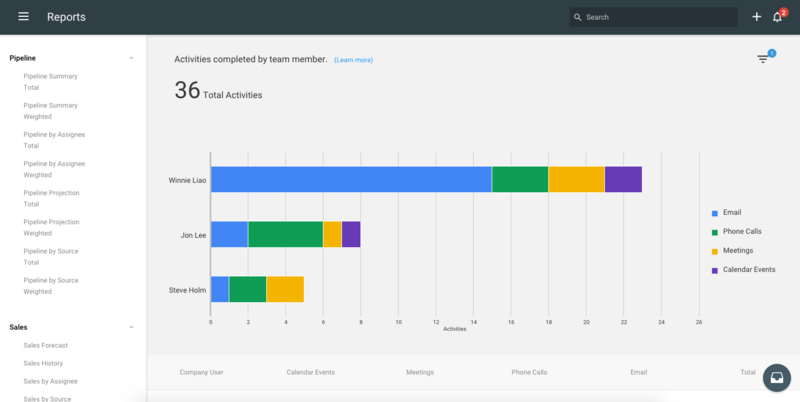 Your CRM should allow you to track the individual performance and activity of every member of your sales team. Also, sales coaches shouldn’t hesitate to incorporate different types of technology in their coaching sessions such as online video or quizzes and exercises. This dynamic form of coaching can be very helpful for sales managers who find themselves without enough time to handle more than a handful of one-on-one coaching sessions or are looking for more efficient ways to provide instruction. According to CSO Insight, sales organizations that took advantage of technology like video coaching were able to achieve a 28% higher win rate. As with most things, chances are your sales coaching program isn’t going to be perfect the second you put it into action. There will undoubtedly be things that you can improve and optimize, and any effective sales coaching program will naturally evolve over time to fit the ever-changing needs and challenges of the business and the industry overall. Use your CRM to help you measure the success of your sales coaching program and don’t forget to reinforce the value of sales coaching by routinely sharing any positive wins and results. Just keep in mind that it takes time and it’s okay if you don’t see immediate improvement or results. When it comes to sales coaching and training, there really is no reason why you couldn’t have started yesterday. Time and time again we’ve seen the positive effect sales coaching has on a business, from transforming the efficiency and ability of the sales team to the wide-ranging benefits to its culture and revenue. Sales coaching doesn’t just empower sales reps; it empowers your entire organization. Use these strategies and get started today.